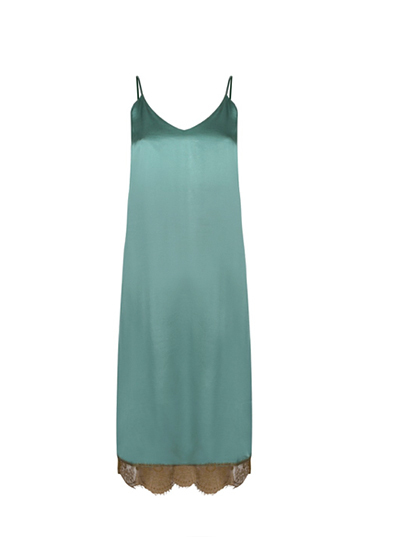 LOVE STORIES, Long slip dress cut from a fluid, silky material in a seaweed green colourway. It has a flattering v-neckline and slim, adjustable shoulder straps. Finished with a delicate trim of semi-sheer lace at the bottom. This loose-fitted style gentle skims the body for a comfortable and flattering fit.